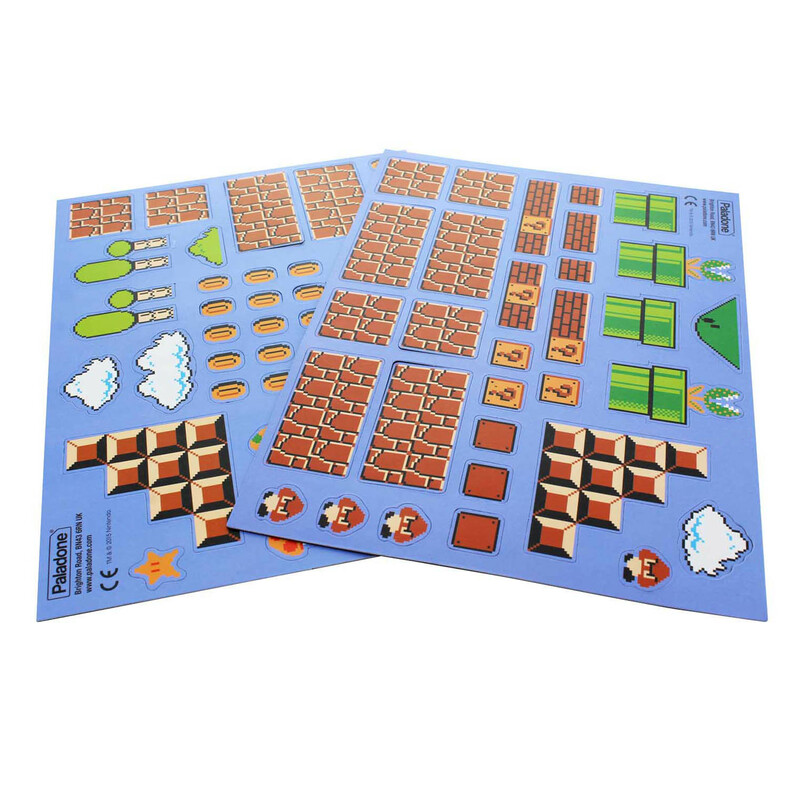 SKU: 5055964701024 Categories: Gifts for Her, Gifts for Him, Office Brand:	Super Mario Bros.
Super Mario Bros. Magnets features 80 magnetic characters and icons from the original game, including characters Mario and Luigi, mushrooms, turtles, flowers, coins, and more, and even level details such as brick platforms and sewer tunnels, so you can create brand new levels in the exact style of the classic originals. Super Mario Bros. 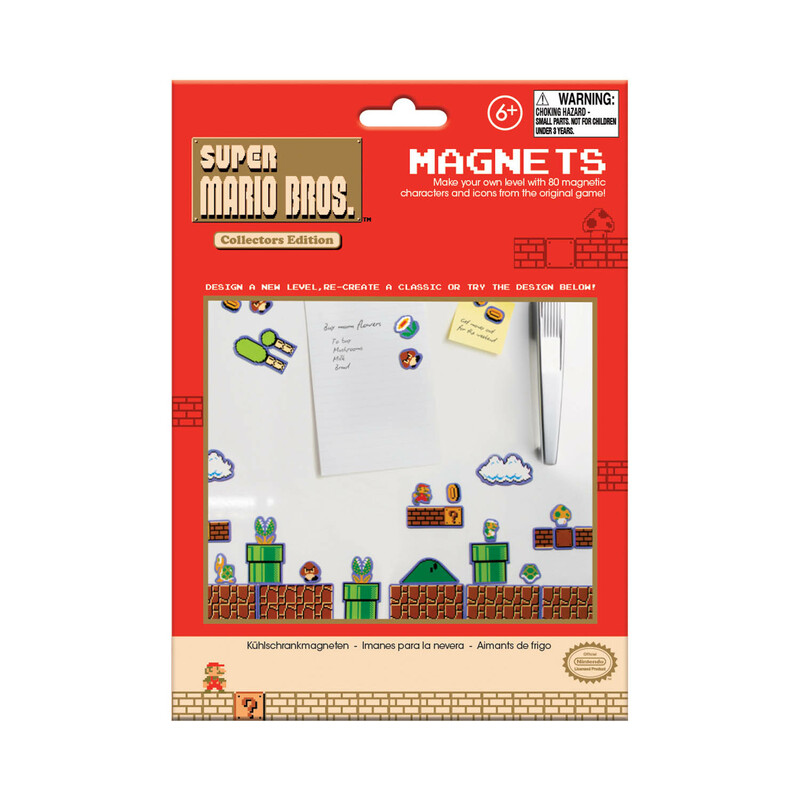 Magnets are an officially licensed Nintendo product. 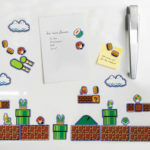 Not suitable for children under 36 months due to small parts.Create new Super Mario levels with this brilliant fridge magnet set based on the legendary video game character. 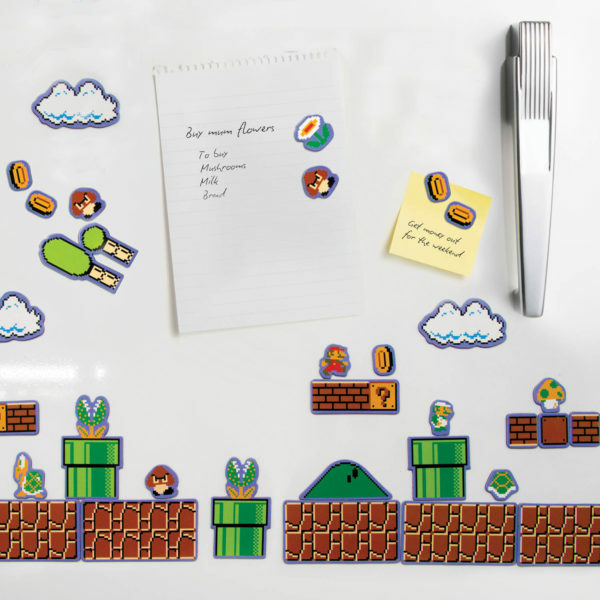 With an array of different character and icon magnets, build your own Mushroom Kingdom right in your kitchen, and give your fridge a colourful new power-up!